Director of the Laboratory for Comparative Social Research (LCSR) of the Higher School of Economics (since 2010); Professor, Department of Sociology, Higher School of Economics (since 2008). 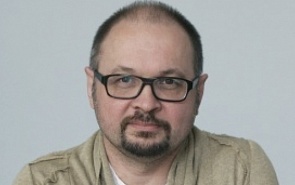 Previous positions: Professor, Department of Political Sciences and Sociology, European University at St. Petersburg (1998-2012); Member of the editorial board of Journal of Post-Soviet Power Institutions (2005-2007); Member of PONARS Executive Committee (2003-2006); Research assistant at the Population Studies Center, the University of Michigan (1990-1996). Research interests: nationalism, religion, social psychology, statistical analysis. The current generation of Russians has a stronger feeling of patriotism. They are proud of being Russians and the citizens of Russia. It was America that raised the question of Russia’s place in the world, which helped make anti-Americanism a part of the new generation’s national identity. Valdai Club experts were polled on the results of 2013 and the most important events that influenced or changed international affairs. The majority of the experts polled believe that the most positive development this year was the decision to secure and destroy Syria’s chemical weapons. They also note the role of the international community and Russia’s significant contribution. The development of Islamism in Russia depends on two factors. One is connected with global developments, and the other with the domestic economic and political situation, which is also affected by global developments. In the event of a negative scenario, Russia may see a dramatic growth in radical Islamic movements and also in advocates of the “Russia for Russians” slogan.